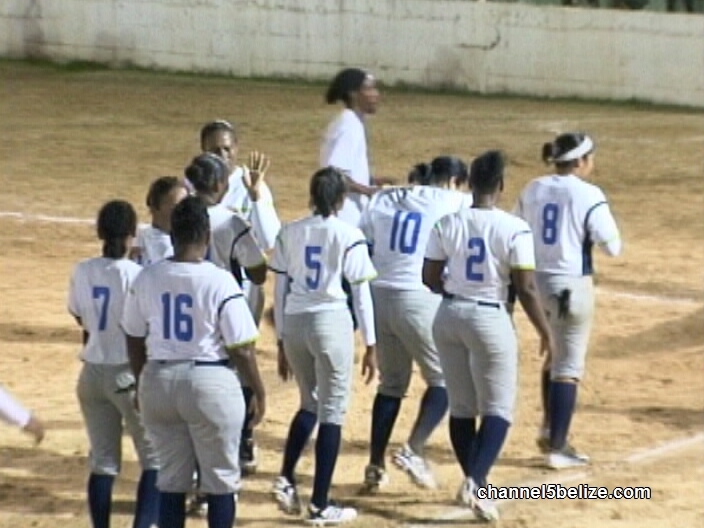 The 2015 Belize District Female Softball Championship continues to grab center stage inside the Roger’s Stadium. Every game has been hotly contested and game 3 was a pivotal ballgame in the 5-game series as both Belize Telemedia and Belize Bank Bulldogs went in with a win apiece. 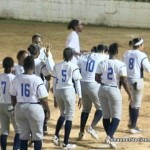 People softball is on track to regain its former glory. B.T.L.’s Christine Jacobs faces the Bulldogs pitcher, Ashley Lucas with runners at 2nd and 3rd. Jachos hits to 2nd; Lisa Jones fields and throws to 1st for the out, but Erlene Belisle gets to jump at 3rd to bring the only run of the inning. B.T.L.’s Kenisha Sutherland comes up with this wild pitch against Joline Davis in the bottom of 3rd with 4 on Sharette Vernon steals home from 3rd to tie the ballgame at 1 apiece. Sutherland then works her way out of a bases loaded jam with this come backer off Ashley Lucas’s bat. In the bottom of the 4th, Greta Davis crushes this ball to the outfield; it’s catchable, but Rebecca Jones drops the ball so Sharette Vernon hustles to beat the throw to give the Bulldogs and Agnes Lucas who was at 3rd base had easily preceded her to home plate for the 3-1 Belize Bank lead. The bank tacks on another run in the 5th when Ashley Lucas sacrifices to 1st base allowing the runner from 3rd to score. In the meantime, the Bank’s defense continued to percolate in the top of the 6th coming up with this nice double out off this catch at right field by Jolene Daves. The throw to Sharette Vernon picks off Elaine Humes. In the top of the 7th, Telemedia looks for some offense—Lydia Cacho hits this pitch at Sharette Vernon who misplays so Martha Rhys races home from 2nd to make it 5 to 2. Ashley Lucas then is victimized by a pass ball; Lydia Cacho brings in another. 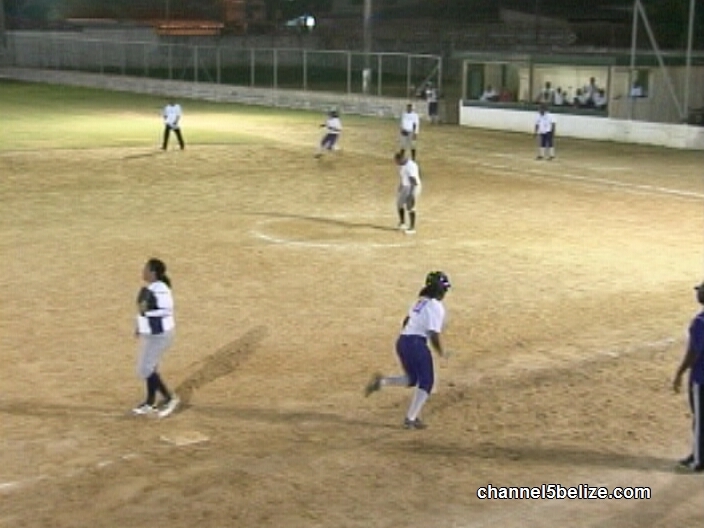 However, Ashley Lucas ends the Telemedia threat by forcing Elaine Humes to hit this dribbler to 3rd; Lindy Jones picks it up and fires to 1st for the out. 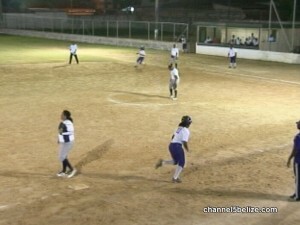 The Belize Bank takes a 1 game lead with the 5-3 final score. Game 4 comes up tonight at Roger’s Stadium if Telemedia does not get a 2-2 tie, the Belize Bank Bulldogs will grab the 2015 title. In basketball news, play in Interoffice Basketball at Bird’s Isle over the weekend saw Generals handle Ready Call 67 to 58; Bulldogs bit Central Health 70 to 62; Digicell dumped Infotel 77 to 59 and Atlantic Bank resisted BWS Pressure 68 to 64. 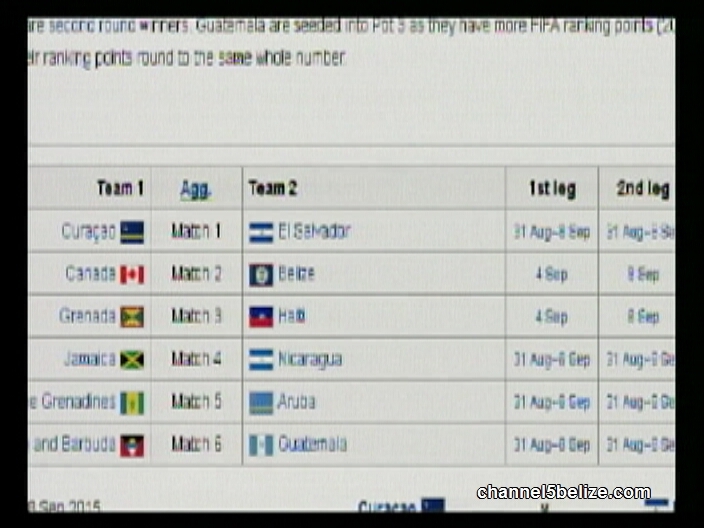 Turning to the football scene, our national male senior team continues its hunt for a World Cup Berth, venturing into the 3rd round of the qualifiers by facing Canada. The Canadian team is beatable, but the Jaguars must have a good game. 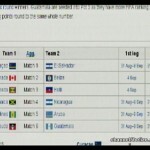 The team plays at Canada on 4th September with the return match set for 8th September. In the mean time, we caught up with the Orange Walk District match yesterday, featuring Awe United in action against Progresso FC. Gabriel Perez catches up with this nice feed from off the left side and he powers the half volley past the keeper for the 1-zip Progresso lead. 10 minutes later, Mickey Palacio catches up with this loose ball in front of the Progresso goal to fire this left foot shot that ties the ballgame at 1 apiece. In 2nd half, Gabriel Perez gets to double his tall with this breakaway only to come up short of the intended target. Talk about living dangerously, the Awe United dodge a bullet when this ball is dug out of the goal after a fumble by the goalkeeper. Folks Gabriel Perez becomes the man of the match when he crushes this header into the back of the net to five Progresso FC the 2-1 big win. Manager, Rafael Novelo, you looking good. In 9-a-side football news, Tsunami hurt Lizard Juice 1-zip, CC Boys humbled CC United 7-zip and Rainbow ran over Danger Boys 4 to 1.